The MHG32 system is designed for controlled humidity in challenging instrument environments where quick changes of RH in small volumes are required. 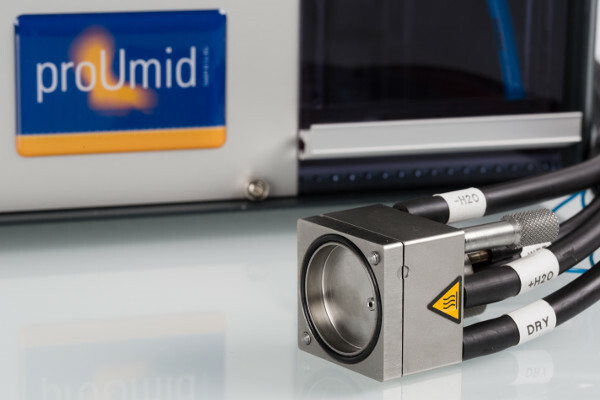 The unique feature of the MHG32 is the generation and control of relative humidity directly at the target volume and thus enabling a fast and accurate response even at very low flow rates. The MHG32 is available with with maximum flow rates of 500 ml/min or 1000ml/min and is suitable for chamber volumes from approx. 20ml up to 2000ml. The modular setup and easy adaption in combination with the broad temperature and humidity range makes the MHG32 a perfect match for all kind of application. 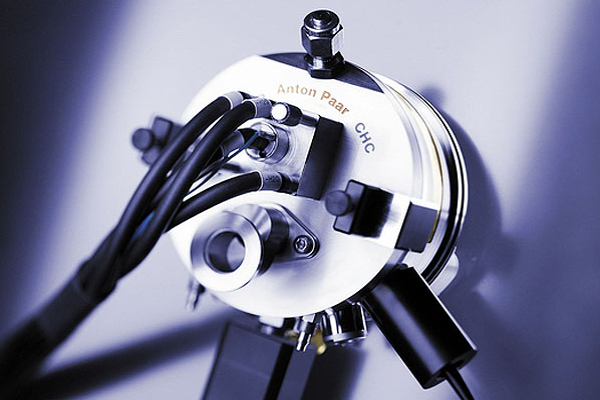 The large number of possibilities for customization allows for an easy integration of the MHG32 as an OEM product into analysis instrument solutions. 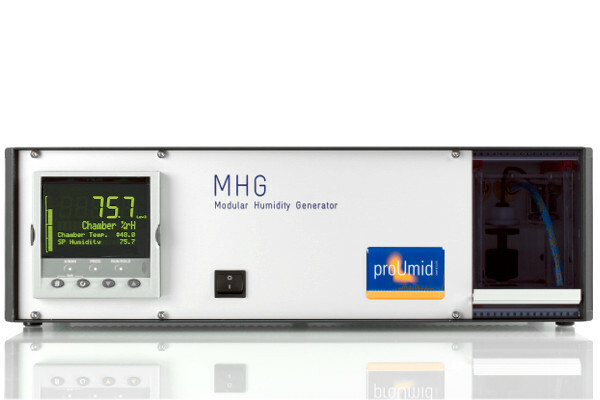 Learn more about the special features of the humidity generators of the MHG series. The patented design of the MHG32 is different from a standard instrument for controlled humidity. Usually, a flow of humid air is generated inside the instrument and then transported via a heated transfer line to the target system or volume to be humidified. Such a configuration results in a slow regulation behaviour and a large dead volumes in the supply line. To avoid such issues, the MHG32 was designed differently. The MHG32 consists of a central control unit and an external mixing module. The central control unit monitors and regulates the flow rates of gas and water and transports the media to the mixing module in separate lines. The humid air is generated inside this mixing module, that is directly attached to the outer wall of the target volume. By generation of the gas flow inside the mixing module directly connected to the target volume, any potential issues by a dead volume in the supply line are completely avoided. 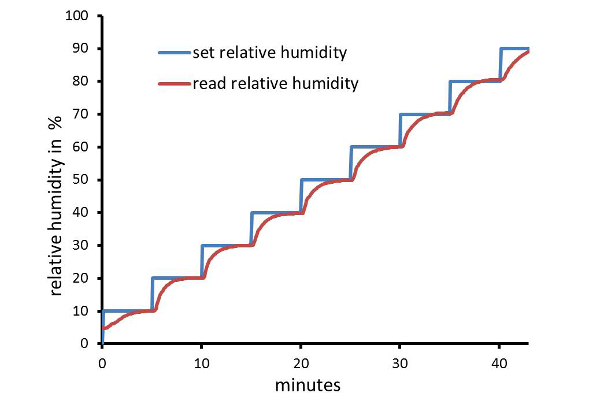 The MHG32 allows for a fast and precisely controlled humidity even at very small flow rates. The humidity sensor is placed directly inside the volume to be humidified. A closed regulation loop ensures a precise, stable and fast controlled humidity and makes the system unsusceptible against perturbations. The mixing module is small but powerful and allows for precisely controlled humidity over the full temperature and humidity range. The metallic mixing module is directly attached to the outside wall of the target system. It follows the temperature set in the target system from close to freezing up to the boiling point (2°C to 95°C). Heat loss due to vaporisation enthalpy is directly compensated in the mixing module and thus enabling precise RH control up to the saturation level over the full temperature range. 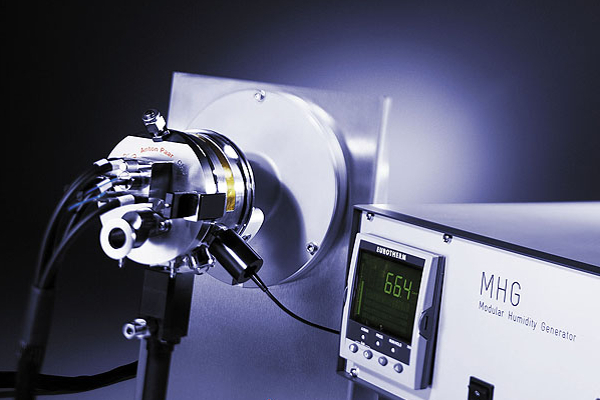 With the various available possiblities for customization, the MHG32 can be adapted to any target and allows for complete integration into instrument solutions as an OEM product. The sensor interface is fully configurable. 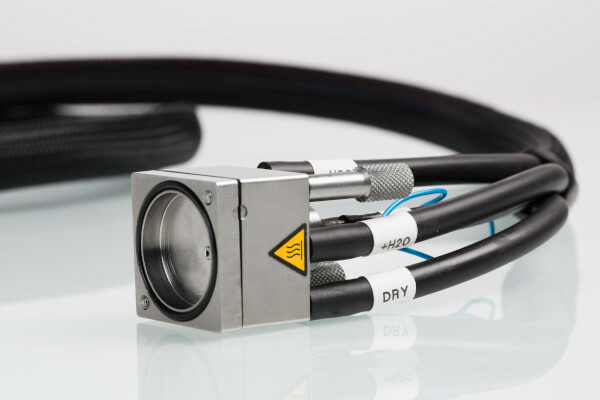 Any sensor with an analogue signal output can be connected. 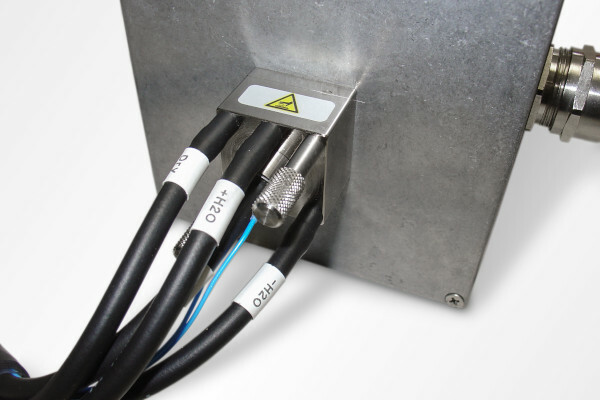 The MHG can be operated localy via the front panel or by remote control via RS232 or Ethernet. The software interface is fully configurable and allows for complete integration into the control software of the target system.